DCU Dóchas Éireann will feel robbed. They took over their Electric Ireland Fitzgibbon Cup semi-final against UCC in the closing stages but were ultimately outdone by a debatable refereeing decision to award UCC a late penalty. Cork man Chris O'Leary slotted it and that cruelly consigned DCU to a one point defeat. UCC now advance to Saturday week's final where they'll take on the winners of NUI Galway and Mary Immaculate while DCU are left licking some very raw wounds as their wait for a maiden Fitzgibbon Cup goes on. And it was the men of north Dublin who began the brighter in Carriganore. Kilkenny man Sean Morrissey wasn't messing around and he had two points to his name by the time the clock had struck three minutes. The Bennetsbridge player, and his fellow Kilkenny inside forward Billy Ryan were lively in the opening stages. Ryan was chasing UCC bodies like a sheep dog fetching a ball and Morrissey was picking up the scraps. He had the radar on. 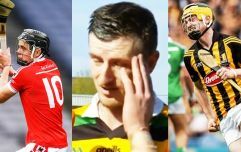 Ryan's work-rate will have made Brian Cody proud. But UCC's liquid forward line weren't long to start flowing. 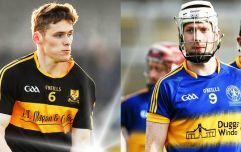 Shane Kingston's pace was leaving DCU back-men for dead and with Kerry's gifted dancer Shane Conway selling dummies for sport and slotting points to boot, it was clear that there was going to be nothing between these two powerhouses of college hurling. 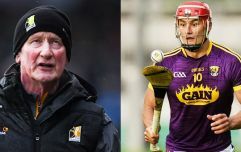 Wexford's young star Rory O'Connor roared into the game for Eoin Roche's side with a couple of hard earned scores but at the other end of the field, their backs were struggling to cope with the fleet-footed Shane Kingston. As Derek McGrath said on Electric Ireland's live stream, "It's impossible to defend against pace." But DCU were far from done. Dublin's Rian McBride was a constant force of energy and fitness in the middle of the field and he helped them back into it in the second half. Similarly, big Chris Crummy was throwing his weight around as Kingston kept UCC in touch. Eventually, a UCC special - from Fitzgibbon to Conway to Kingston helped them into a lead with the clock ticking, but DCU just wouldn't give up on it. 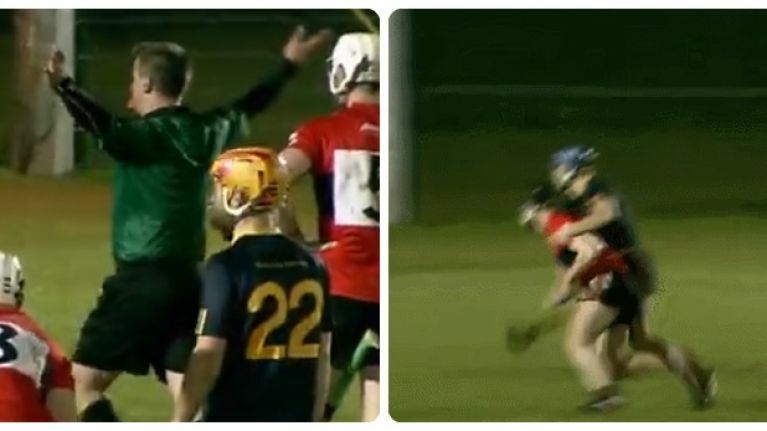 Eventually, it all came down to Conahy Shamrocks' club man James Bergin to keep them alive with the last puck of the game and he stepped up with a nerveless free. Onto extra-time we went and not a sinner in Waterford IT was sick of the hurling. It was scrappy, it was tough and hard-hitting hurling - pure Fitzgibbon stuff and DCU looked to have edged it. Darren Mullen, fresh from his club exploits with Ballyhale Shamrocks scored a snappy, wristy point to hand them a one point lead and James Bergin again, nailed a raker of a free to make it two. Then it came to that penalty decision and you could hardly blame DCU for feeling sorry for themselves about it. Eoghan O'Donnell looks to have been the one penalised, but his tripping of the UCC forward was accidental and was inconsequential to the play. To compound matters, the man in the middle didn't give DCU much of a chance to level it up after the resulting puckout. Some drama for the privileged spectator, though the DCU student body were not pleased.